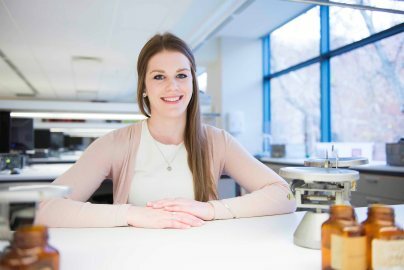 Study Master of Clinical Pharmacy at the University of South Australia (UniSA). Information for International students. have experience in a direct patient care environment. Note 1: International students should note that to be considered equivalent to a Bachelor of Pharmacy degree, the award must have a principal focus on pharmacokinetics, applied pharmacology, disease pathophysiology and treatment. An award with a principal focus on pharmaceutical manufacturing will not be considered equivalent for entry to the program. Note 2: International applicants are advised that this program is only available externally/on-line in the student's home country, but requires attendance at compulsory workshops held in Adelaide or Singapore (depending on numbers). Applicants MUST contact the Program Director for information on the requirements of the program prior to submitting an application. Note 3: International applicants wishing to study this program externally/on-line in their home country, must meet all entry requirements, including the English Language Requirements, and must provide proof of experience in a patient care environment. Note 4: International students should note that the program aims to produce clinical pharmacists capable of providing specialist pharmaceutical services in hospitals and other clinical environments, thereby enhancing the quality use of medicines. The program builds on skills of practice developed as an undergraduate student and is therefore not a pathway to registration as a pharmacist in Australia. Take a leading role in drug product selection and communicating drug information to patients and health professionals. Effectively monitor a patients’ therapy and critically evaluate clinical research. UniSA is one of four universities in Australia to be a member of the prestigious National Alliance for Pharmacy Education. Be mentored and supported by practicing pharmacists and academics. Learn from well above world-class researchers in Pharmacology and Pharmaceutical Sciences1. 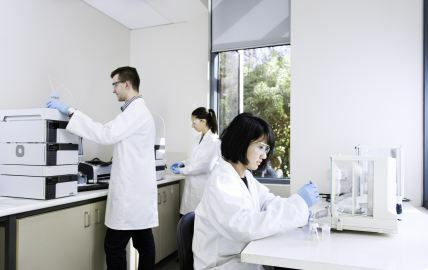 Benefit from our strong industry links and affiliation with several internationally-renowned research groups, as well as the UniSA Cancer Research Institute and Centre for Cancer Biology. • Benefit from over 50 years’ experience in pharmacy education. • Learn at your own pace with flexible and part-time study options. • Use this qualification as a pathway to further study, including doctoral study. This master degree is designed to improve and extend the skills of registered pharmacists to provide specialist pharmaceutical services. There are a range of flexible study options, allowing you to fit study in among your work and other life commitments. You will study most of your degree online with the help of our 24/7 online resources and dedicated online support staff, and will come on campus to complete compulsory workshops. Students who have already completed the Graduate Certificate in Pharmacy Practice can gain credit for this master degree. This master degree will equip you with the knowledge, skills and practical expertise needed to provide specialist pharmaceutical services in a range of clinical environments. 1. Graduates of the University of South Australia's Graduate Certificate in Pharmacy Practice or Graduate Diploma in Clinical Pharmacy will be granted full credit towards the Master of Clinical Pharmacy for courses completed in the Graduate Certificate or Graduate Diploma award. 2. Students are required to satisfy the standards of dress and behaviour prescribed by institutions in which any professional placements are undertaken. Failure to satisfy such requirements may prevent a student from completing the program. 3. Unless able to demonstrate proven extensive experience in clinical pharmacy practice, students will be expected to enrol in this course. 4. The program is only available by external delivery, but requires attendance at compulsory workshops held in Adelaide or Singapore (depending on numbers). 1. The program aims to produce clinical pharmacists capable of providing specialist pharmaceutical services in hospitals and other clinical environments, thereby enhancing the quality use of medicines. The program builds on skills of practice developed as an undergraduate student and is therefore not a pathway to registration as a pharmacist in Australia. Graduating with a postgraduate qualification will set you apart, ensuring you have a competitive edge and are ready for a career in industry, research or further postgraduate study. We are also the only South Australian provider of pharmacy education, and one of four Australian universities to be a member of the prestigious National Alliance for Pharmacy Education (NAPE). Our teaching staff are renowned researchers, so you will be learning from leading academics; and our affiliation with several internationally-renowned research groups, as well as the UniSA Cancer Research Institute and Centre for Cancer Biology provides valuable networking opportunities and resources. Our commitment to research with an industry focus is unprecedented in South Australia. In the 2015 Excellence in Research for Australia evaluation, 97 per cent of our assessed research was rated world-class or above. We are fast becoming a renowned centre of innovation and enterprise in the sectors that will drive Australia's future, including health and biomedicine. Our affiliation with several internationally-renowned research groups, as well as the UniSA Cancer Research Institute and Centre for Cancer Biology provides students with valuable networking opportunities and industry contacts. You will be able to take a leading role in the decision-making process of drug product selection for individual patients, provide specialist drug information and education programs to patients and healthcare providers, effectively monitor a patient’s therapy, and critically evaluate clinical research. With new drug developments and enhanced therapeutic developments pharmacists have more career options than ever before. In fact, long-term career prospects in Australia are expected to experience very strong growth1, which is great news for graduates. In addition this advanced qualification also means you'll be qualified to work in specialist drug information and education programs, as well as in clinical research. Specific fields of education with good employment outcomes foruniversity graduates in Australia in 2015 includes pharmacy (74.3 per cent of graduates find full-time emplyoment within four months)1. My main clinical and research interests are in the fields of pharmacy practice, neurological and geriatric pharmacotherapy. I look forward assisting you with your studies.